SANKOFA is a contemporary literacy resource for all students in Grades 4 to 8. SANKOFA is designed to help promote understanding of the African Canadian narrative during Black History Month and throughout the school year. 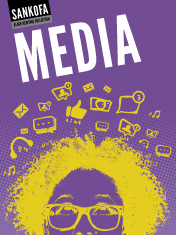 Grade 6 Sankofa Media was published by Rubicon Publishing in 2015. You can even check out a preview of the book and order your copy now.